Embroidered pleats and a contrasting printed border on a tunic that can work as a dress. Pullover dress in handwoven ikat. A-line with cap sleeves and scoop neck. 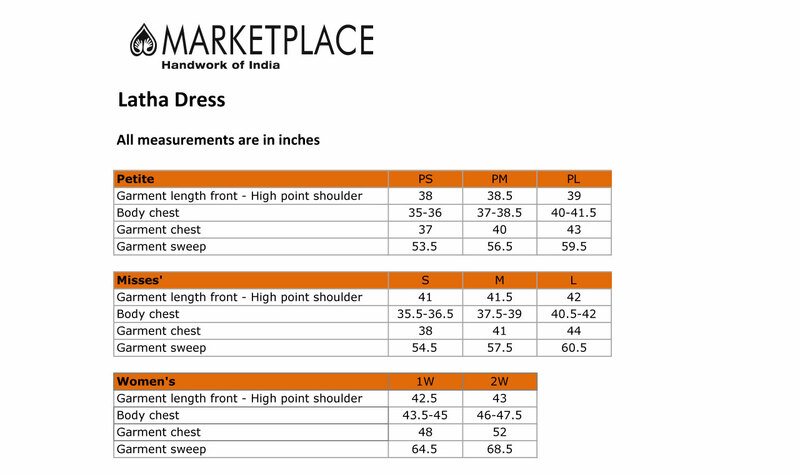 • Length: PM 39.5" M 41.5"
Thank you for my new Latha dress, the woven fabric is excellent and the cut of the dress I'll be able to wear for 10 years!